Bizzie Fingers Fabrics, Yarn and Craft is situated on the Crescent in Lytham St. Anne’s. 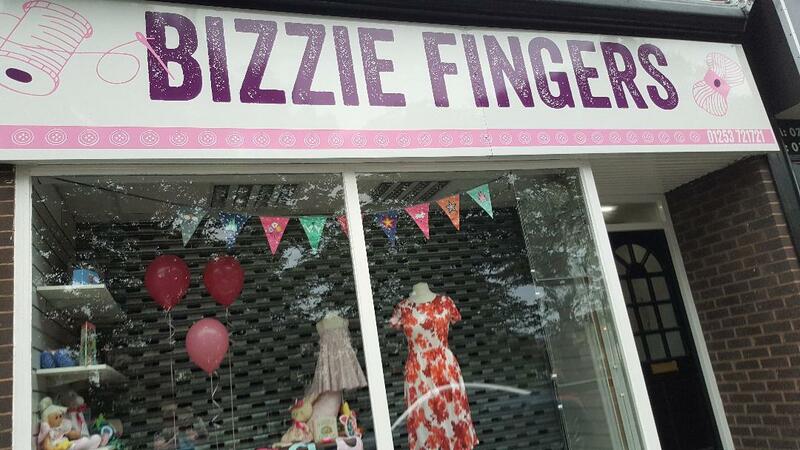 We are well known in the local area as the shop has been established for over 12 years, however, it has been under new ownership since June 2015. You can be assured that a warm welcome awaits you by the new owners, Rob and Camilla. In June 2017 we relocated just 3 doors up The Crescent to a bright, new modern shop. We have an extensive range of fabrics including craft, dressmaking, quilting and patchwork fabrics. We stock Moda, Timeless Treasures, Riley Blake, Michael Miller, Makower, Rose and Hubble and Tilda to name a few. We have a range of dress making fabrics and often have fabrics from Coast, M&S, Jigsaw, Top Shop and Phase 8. We sell fabric by the metre, fat quarter bundles and single fat quarters. We are the area's supplier of Janome and Brother sewing machines. We stock McCalls and Vogue patterns. We also stock Stylecraft, King Cole yarns and crochet cotton plus a huge range of knitting and crochet patterns. Plus knitting pins, crochet hooks and other accessories. We also sell needle felting fibres and equipment. For your crafty needs we have felt squares and by the metre, pipe cleaners, polystyrene shapes, feathers, maribou trim, Gutermann beads and sequins, needle felting fibres and accessories plus several new ranges of children's craft kits. We also stock a large range of haberdashery items including Anchor embroidery skeins, velcro, ribbons, lace, trimmings, zips, buttons and Gutermann, Mettler and Moon threads. Pop in to see our extensive range! Yes we do. They are £14.50 each. Sorry we missed your comment.